The most powerful influence that parents can have on their children’s lives is the example they set by how they live their own lives. 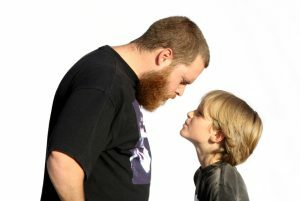 Children instinctively identify with and imitate their parents. This psychological process has a much greater impact on a child’s personality than any guidance, advice, rules or prescriptions for living that a parent can give. This fact alone is enough to motivate us to become better people. 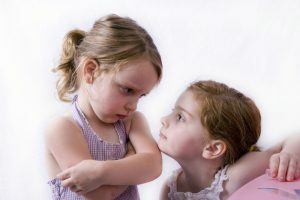 To be positive role models for our children, we can identify and change the negative personality traits within ourselves that we do not want to pass on to them. And we can also develop qualities in ourselves that will have a powerful impact on the kind of people our children grow up to become. We must strive to be mature and consistent in our attitudes and conduct. We need to resist regressing into bad moods or childish behaviors (such as being irresponsible, self-indulgent or victimized). They must set a good example by exhibiting honesty and integrity in our interactions with others, and by treating others with respect and equality. We demonstrate our respect for our offspring by developing positive qualities in ourselves so as to have a positive effect on their development. Ultimately, the greatest impact that we have on our children comes from us valuing and living our own lives. 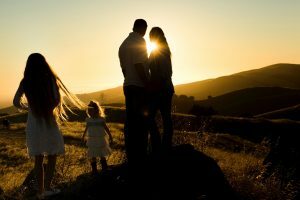 Many of us operate with the mistaken belief that good parenting involves sacrificing yourself for your children. However, we do not offer our children our best by being self-sacrificing and giving up parts of ourselves. We can only offer them our best by attempting to fulfill ourselves and be the most that we can be. Only by genuinely valuing ourselves, accepting our feelings and priorities, and actively participating in our lives, do we teach our children to live lives of meaning. We know that if our own lives are insulated, desperate or self-protective, we will not inspire our children to seek adventure or challenges. 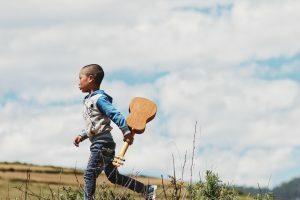 We know that if we lead lives that are characteristically dull and conforming, we will fail to provide vital or lively examples for our children to emulate. By continuing to develop ourselves as people, we are encouraging our children to be open and to take reasonable risks in expanding their world. As parents, we are demonstrating our respect for our offspring by developing positive qualities in ourselves so as to have a positive effect on their development.